This was the first time that I had attempted to make sourdough pasta. I had always wanted to try making pasta with my sourdough starter but for some reason I thought making sourdough pasta would be difficult. Boy, was I wrong. It was a whole lot easier than I thought it would be. In fact it was downright easy. Rustic sourdough pasta only takes three ingredients; sourdough starter, flour and eggs. Since this was my first time attempt at making sourdough pasta, I wanted to serve it as simply as possible. I actually wanted to see if I could taste the sourdough, and I must say I definitely could. You can certainly roll your pasta dough out thinner than I did but overall the pasta turned out super delicious. Serve with a light drizzle of extra virgin olive oil, toss with butter or top with a light butter/garlic sauce. 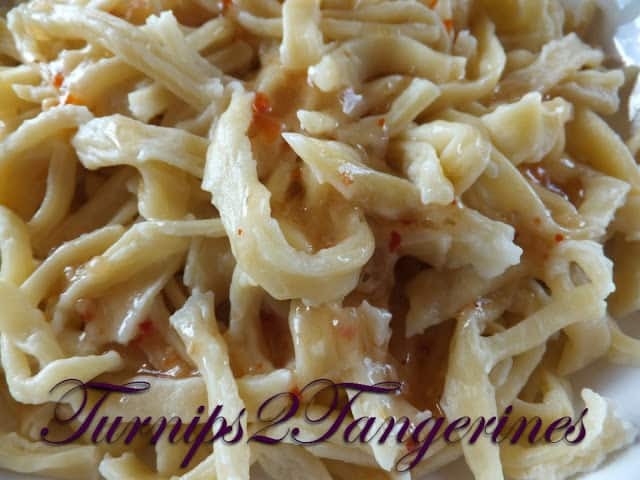 For this recipe we tossed the rustic sourdough pasta in a zesty Italian salad dressing from Kraft. Rustic sourdough pasta can be tossed with any of the traditional pasta toppings like spaghetti sauce, alfredo sauce or an anchovy sauce. The best way to serve sourdough pasta or any homemade pasta really, is as simple as possible. What’s nice about fresh pasta is cooking time is minimal, so why spend time on an elaborate sauce? 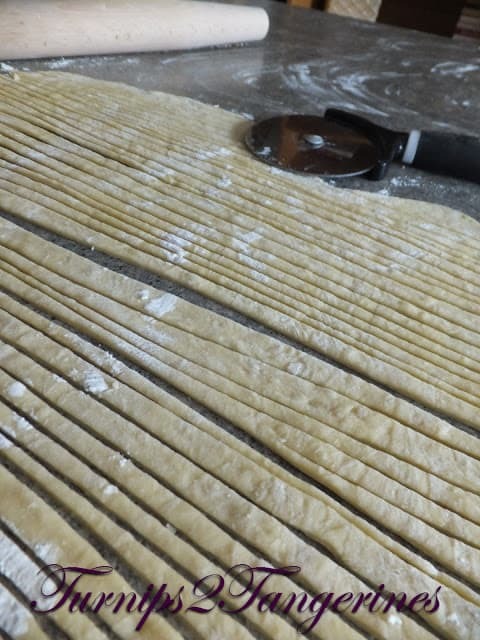 Simple is the key to good fresh pasta. A great way to use your sourdough starter! Serve noodles with your favorite pasta sauce or sprinkle with zesty Italian salad dressing and top with grated Parmesan cheese for a quick lunch. For a truly taste sensation and a scrumptious cake you won’t soon forget, make this delicious cake using a sourdough starter. Irish Cream Chocolate Sourdough Cake. 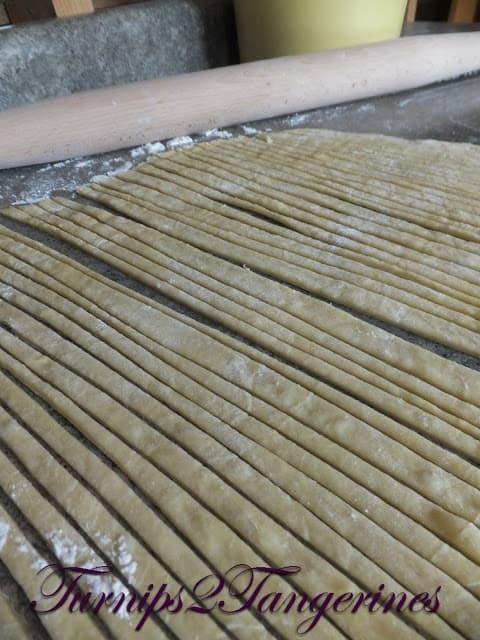 Nothing like hand cut noodles, great job! Ooh, yum. I love the sound of zesty dressing & cheese on top & the pasta itself looks fantastic. I loved the sourdough flavour too. I wasn't sure what to expect, but it was really great. Looks great! I'll have to try your idea of Italian dressing and parmesan. Sounds quick and yummy! This pasta is good enough on it's own to be eaten simply. So delicious! YOU made pasta? I am so over top with being totally impressed.. and my favourite fettuccine too.